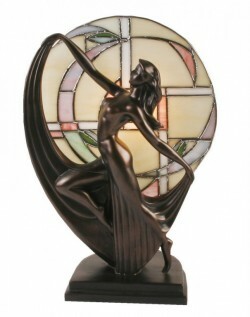 Art Deco lady dancing with Beautiful back lighting effect. The lamp will arrive with wall plug. Polished cold cast bronze. Small Bayonet Cap - Max 40 Watt Bulb. 36 cm tall (14 inches).